From the Long Island Expressway: LIE to Exit 62 North (Rt 97/Nicolls Road). Proceed north past Rt. 347. At the 2nd light (not including the fire house) after Rt 347 make a left into the South Entrance to Stony Brook University. Proceed 3/4 miles and make a left turn into “P Lot”. The fields are on the left. From the Northern State Parkway: Northern State to Rt. 347 East. Proceed to Rt. 97 (Nicolls Road). Make a left onto Rt. 97 North. 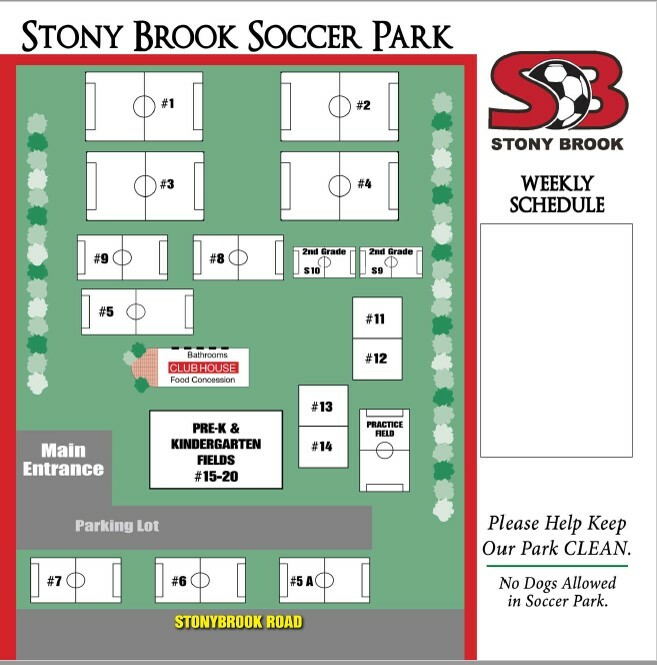 At the 2nd light (not including the fire house) make a left into the South Entrance to Stony Brook University. Proceed 3/4 miles and make a left turn into “P Lot”. The fields are on the left.